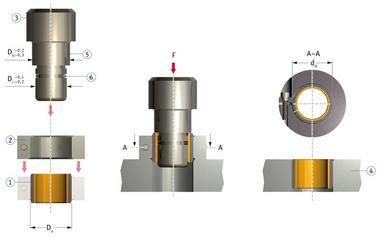 KS PERMAGLIDE® bushes can simply be pressed into the housing bore. Applying a little oil to the back of the bush or the housing bore facilitates the press-fitting operation. Flush press-fitting with mandrel, without auxiliary ring, as per Fig. 2. 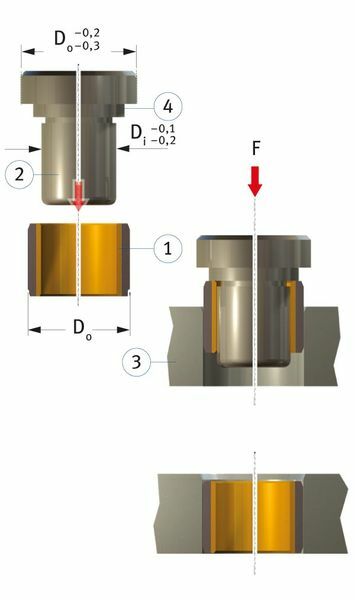 Recessed press-fitting with mandrel, without auxiliary ring, as per Fig. 3. 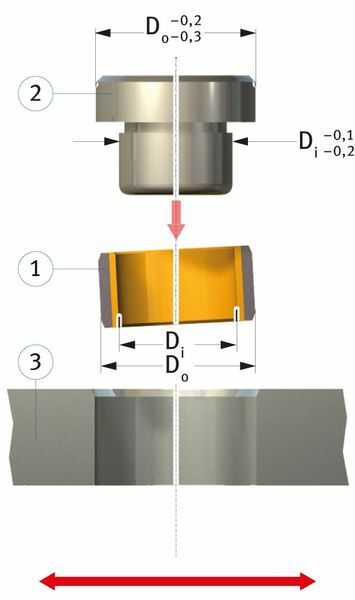 Press-fitting with mandrel and auxiliary ring, as per Fig. 4. Ensure cleanliness during mounting. Dirt reduces the service life of the bearing assembly. Take care not to damage the sliding layer. Note the installation position, if given. Do not position the joint in the main load zone. 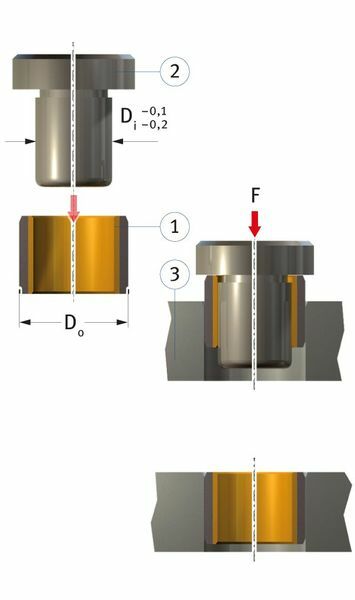 Table 1 allows you to calculate the required inside diameter dH of the auxiliary ring on the basis of the stated outside diameter DO of the bush.